Magic Tablecloth. 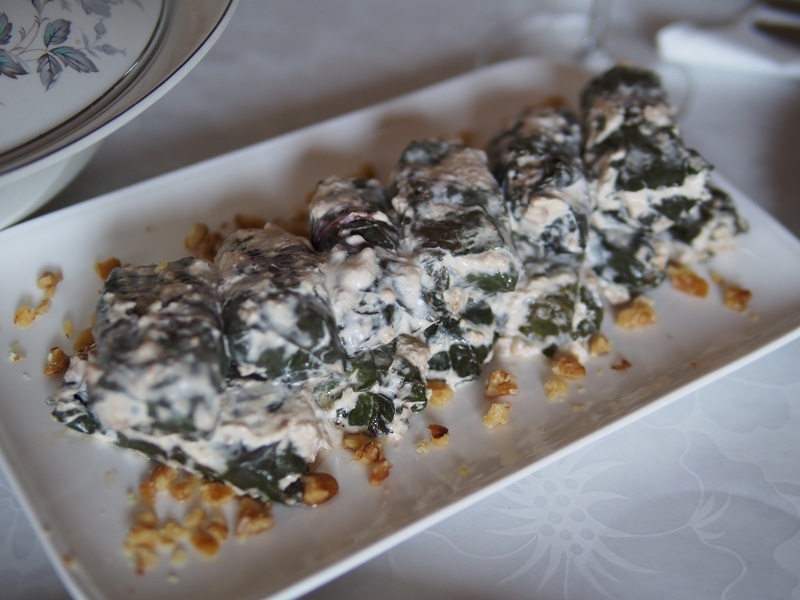 White Beet Dolmades. Magic Tablecloth. 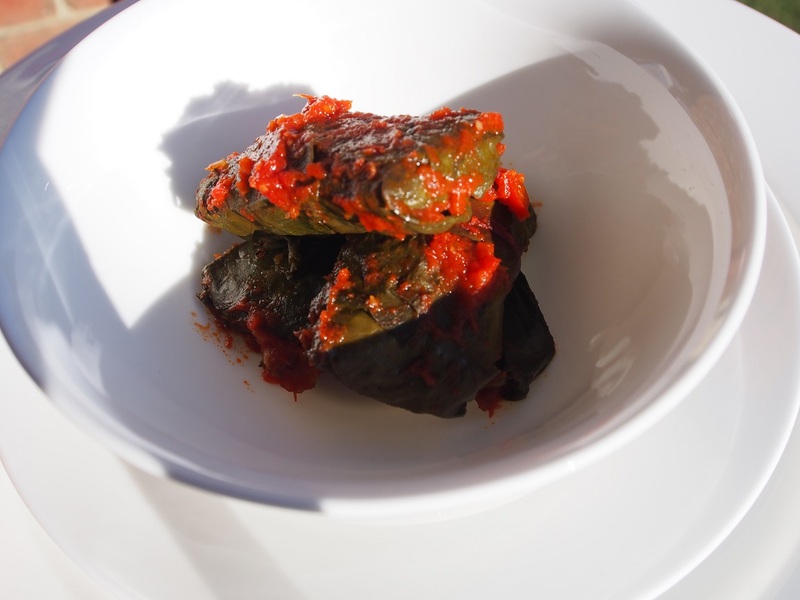 Red Beet Dolmades. 1. Cover the oats with boiling water in a dish with lid. Put aside for 30 minutes. 2. In the meantime, wash the leaves and cover with boiling water. Once the water is cooled down, drain the greens. 3. Peel and finely grate the carrot and combine with spices and seasoning for cooking in red sauce. For white dolmades, finely dice the mushrooms and season well. 4. To prepare the red sauce, finely dice the capsicum and mix with tomatoes and seasoning. For the white sauce, crush the walnuts and combine with the cream and seasoning. 5. The oats water should be absorbed, if not then drain the excess water. Mix the oats with the required ingredient: carrot or mushroom. 6. Wrap the filling into all the allocated beetroot greens. 7. Prepare a casserole pot with splash of sunflower oil, warm up with garlic. Make a single layer of beet dolmades into the casserole and cover with the red or white sauce. If any leaves left cover the top with leaves and slow cook for 15 minutes.